“Disaster Strikes…But What Can I Do?” (Nepal Earthquake) | Fidel's Wandering Eye. Planet Earth as a whole is an unbelievably large place; oceans to seas, mountains to plains, cities to villages, it covers nearly 200 million square miles. Often times when we hear of a tragedy occurring on a different continent or in a different country than ours, it doesn’t have the same effect on us as it does to those living where it happened. This doesn’t mean we’re not paying attention, it doesn’t mean we care less…it’s just simply difficult to be able to see, feel and hear about the various disasters, big or small, that occur around the world on a day to day basis. Yesterday however, for the first time since I can remember, a natural disaster occurred thousands of miles away from me, yet I felt it in my being…the earthquake in Nepal. I was blessed to be able to see Nepal a couple years ago while on assignment with several surgeons and medical staff from Mission: Restore. It is a beautiful country, and the people we encountered there were friendly, generous and hospitable to us every step of the way. 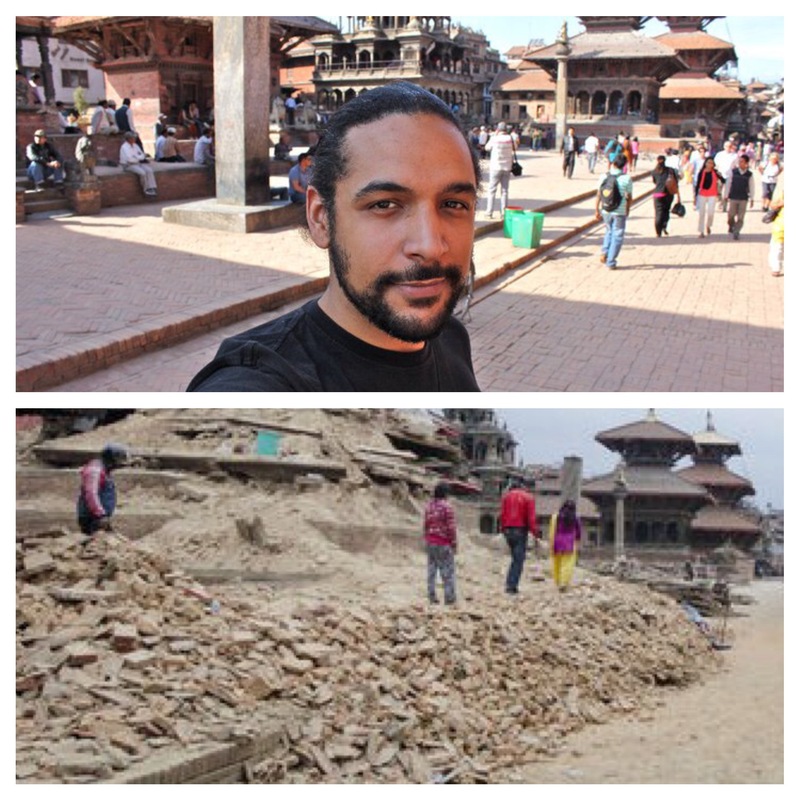 As I scanned the internet for more information on what was occurring in the cities I had visited while there (specifically Kathmandu), I came across a photo of Patan Durbar Square, which now lies half in ruin. I had taken a photo in the exact same spot, from the exact same angle that this photographer had taken theirs. The place where I had been standing a few years ago was gone, demolished, covered by brick, stone, mortar and dirt. I stared at this particular photo for a very, very long time. I tried to mentally reconstruct the buildings in their entirety as they had been when I was there. I tried to picture myself being there after such a disaster struck, would I be able to help, or would I be as helpless as so many others I had seen in the photo? I then imagined being there moments before the earthquake hit…would I even be alive now? Perhaps distance, time and space is enough to keep us from physically being side by side with others when tragedy strikes, but with today’s technologies, means of transportations and online methods with which to share infromation, we can get to them quicker and help them much faster than we ever could in the past. If you have the means, if you have the resources, if you have the time, share those things…via Mercy Corps, USAID, Direct Relief, UNICEF, Habitat for Humanity and so many others. It doesn’t matter if you only have a couple dollars to send, a tiny little bit of help from billions of others just like you reaches much, much further than you think.